Tree Pruning | LawnPro Landscapes LTD.
Pruning is a horticultural practice involving the selective removal of parts of a plant, such as branches, buds, or roots. Reasons to prune plants include deadwood removal, shaping (by controlling or directing growth), improving or maintaining health, reducing risk from falling branches, preparing nursery specimens for transplanting, and both harvesting and increasing the yield or quality of flowers and fruits. The practice entails targeted removal of diseased, damaged, dead, non-productive, structurally unsound, or otherwise unwanted tissue from crop and landscape plants. Specialized pruning practices may be applied to certain plants, such as roses, fruit trees, and grapevines. Different pruning techniques may be deployed on herbaceous plants than those used on perennial woody plants. 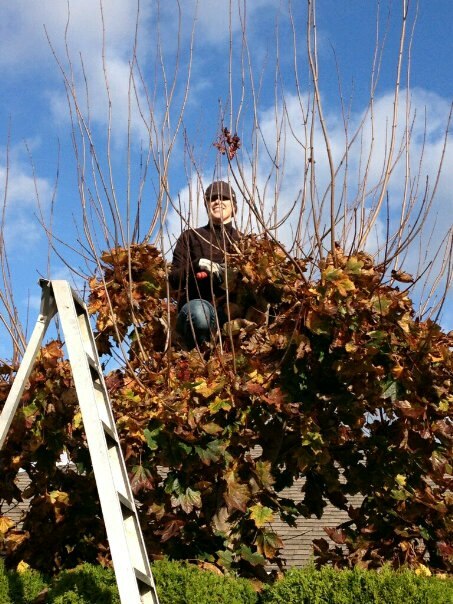 LawnPro Landscapes Ltd has a great team of skilled workers with experience pruning any local variety of tree or shrub. We take pride in our thorough examination of your tree and make thoughtful cuts where neccessary. Beacuse our tree pruning list fills up very quickly, please contact us as soon as possible to book our service.